Here are beautiful desert flowers that fight back the desert heat! These beauties don't need water and our intense sun doesn't wilt them. 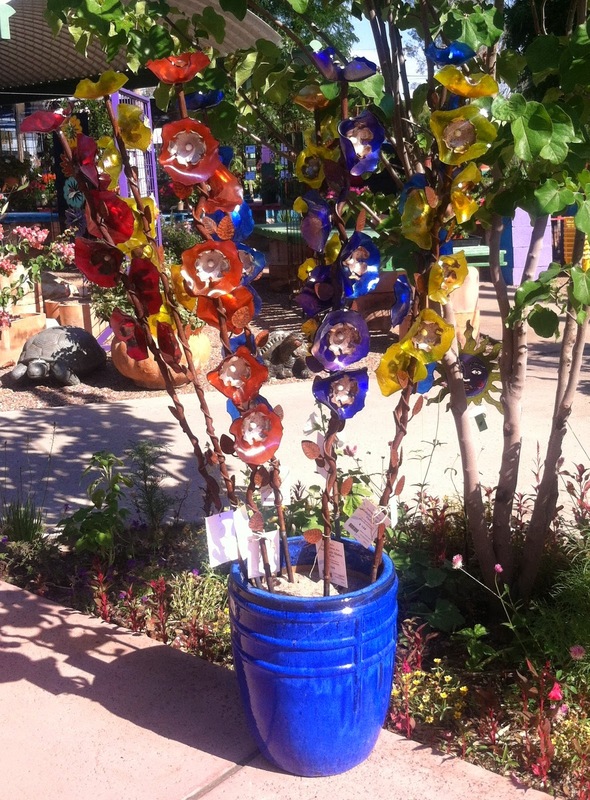 These hollyhocks are glass blown pieces of art for your garden or living room. They are available at Harlow's, my favorite plant place!